Anyone searching for a multifunctional compact everyday backpack, combining both design and durability into a versatile gadget bag, may be worth giving the new Neweex backpack and laptop case further investigation. The new range of Neweex gadget bags has this week launched via Indiegogo and have been designed by Igor Choshko based in Los Angeles. Watch the demonstration video below to learn more about the Neweex all-in-one backpack and laptop case, being marketed as the “Ultimate” Backpack, constructed using the latest material technology. The Neweex everyday backpack is now available to back with pledges starting from $129 and worldwide shipping expected to take place during July 2018. 100 early bird backers can save $70 off the recommended retail price after which the price will jump to $159. Even at this price backers are still receiving a 20 percent discount off the recommended retail price of $199 which will kick in after the Indiegogo campaign has finished. 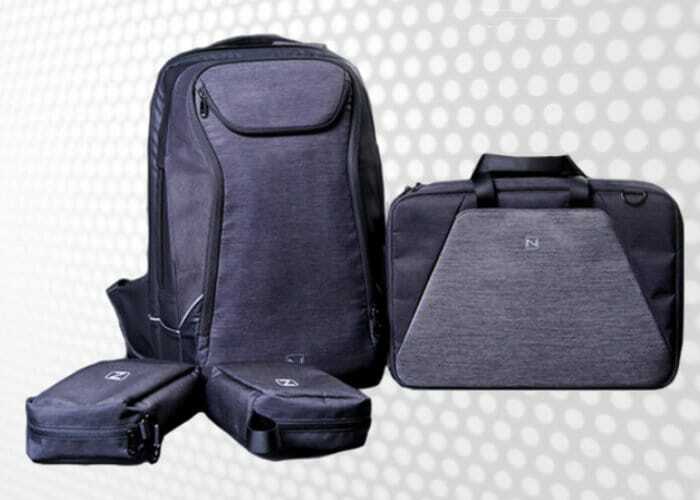 The Neweex everyday backpack measures.18 .9 x 12.6 x 6.7” in size and has a capacity of 26 L. The Neweex laptop bag measures 11 x 15.7 x 1.9”, and the company has also created a range of organisers to help keep smaller gadgets, cables and devices protected and in place during transit. For more information, full specifications and a list of all available pledges jump over to the official Neweex Indiegogo crowdfunding campaign page by following the link below.